The Ahwazi Arab Solidarity Network has published a briefing document giving comprehensive information on the execution of four Ahwazi Arabs last month, including a full English translation of their dramatic appeal to the United Nations in a secret video recording inside prison. The briefing gives an insight into the treatment of Ahwazi Arab political prisoners by Iran’s Ministry of Intelligence and its Revolutionary Courts as well as the Iranian government’s refusal to bow to concerns and condemnation expressed by the international community – the UNHRC, the European Parliament and non-governmental organisations such as Amnesty International. On 18 June 2012, brothers Taha Heidarian, Abbas Heidarian and Abdul-Rahman Heidarian and Ali Naami Sharifi, all from Ahwaz City’s Malashieh neighbourhood, were executed at Karoon Prison in Ahwaz. They were all arrested in April 2011 following anti-government protests by Arabs. The authorities refused to release the bodies to the men's families for a customary Islamic funeral and were likely buried in unmarked graves. 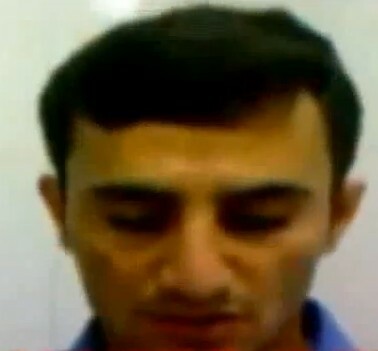 Abdul-Jalil Heidarian, another Heidarian brother, was arrested after he began inquiries into the whereabouts of the bodies. The men were sentenced to death following convictions for "enmity with god" and "sowing corruption on the earth" in connection with the alleged murder of a policeman. Ahead of their trials in a secret revolutionary court, Taha Heidarian made televised confessions with other detained Ahwazi Arabs in which he said he was part of a terrorist group called "Khalq-e Arab" (Arab people). The "confessions" followed months of solitary confinement and torture and were broadcast by Press TV, Iran's international English language television station. A total of 18 "confessions" were shown in two broadcasts by Press TV, a subsidiary of state-owned broadcaster IRIB. The “confessions” included alleged “mind termination” techniques used by Western powers, Israel and Ahwazi opposition groups to turn “simple people with simple minds” into killers and other far-fetched and unproven claims. The trials of the men were described as lacking transparency with “major concerns remain about due process and fairness” by three UN Special Rapporteurs in a statement issued following the executions. The executions came after a vote in the European Parliament condemning the treatment of Ahwazi Arabs and calling on the Iranian regime to drop the use of the death penalty against Ahwazi political prisoners. Two days before the executions, Iranian security forces attacked unarmed Ahwazi Arab protesters in the Malashieh district from which the Heidarian brothers hailed. Thirty young Arab men were arrested, including Nasser Bawi (27, married with two children), Mansour Bawi (22), Ismail Dahimi (23) and Rahim ben Haji Chanbar (38, married with six children). In Sepidar Prison prison guards violently put down a protest on 14 June, killing prisoner Salem Sawri (28). Prisoners also protested against prison conditions and ill-treatment in addition to the planned executions. Rioting also occurred in Malashieh and in prisons following the executions. Below is a translation of a statement recorded secretly by the men from inside prison before their execution. The video, which was smuggled out of prison, shows the political prisoners addressing UN Special Rapporteur Ahmad Shaheed directly to protest their innocence and condemn the unfair trial that found them guilty of "enmity with God" and "sowing corruption on the earth". They describe the use of by their interrogators and the state prosecutor and urge international action to prevent further executions and to support the peaceful Ahwazi struggle against poverty, persecution and state terror. The video was published on the Al-Arabiya TV website. Ali Sharifi and Taha Heidarian read similar statements. Ali Sharifi introduced himself, stating that he was born in 1986, resident of Malashiya, educated to year nine at school and single. Taha Heidarian introduced himself as the son of To’mah known as Ali Karim Salih Madhi, a resident of Malashiya, educated to secondary level graduation. The statement indicates that Taha Heidarian recanted the forced confession he made on Press TV. Below is the statement given by both men. I was arrested on 20 April 2011 by the Ministry of Intelligence and kept for three months at a notorious detention centre, experiencing the worst severest psychological and physical torture. My friends and I were held blindfolded in dark and notorious cells. Under torture they told us to cooperate and threatened us with death unless we confessed what they dictated to us. They also brought Branch 18 prosecutor Mr Ahmedi in Ahwaz to the intelligence services detention centre. In his presence we experienced physical torture and the threat of execution. Mortaza Kiasati of Branch 4, sentenced me and my friends [...] to death. We are still unaware when it [the execution] will take place. We live in the very poor neighbourhood of Malashiya in Ahwaz, next to the biggest steel manufacturing complex in Iran where most of its workforce comes from outside Ahwaz [region]. Our neighbourhood suffers from the highest level of poverty, unemployment and drugs problems with lowest civil, health and social services. We do not get anything from oil and gas fields, but the smoke. River diversion to central Iran has destroyed farming with the remaining land confiscated by colonial sugar cane companies. I have felt the hardships of my people all my life. Like other Arabs, I took part in the April 15 2005 intifada to commemorate the 80th anniversary of the Iranian occupation of Ahwaz and to protest against the secret document leaked from the office of [vice-president] Mohammad Ali Abtahi. This document outlined the ways in which the numbers of Arabs in the region would be reduced, by transferring them to other areas. I participated alongside my brothers and friends in the neighbourhood and the rest of our people in a revolution of the hungry, barefooted and oppressed against oppression, discrimination and racism. We continued to protest to commemorate the annual anniversary of the occupation until 2011 when I was arrested during a peaceful protest. All protests gathering were peaceful until the security, army and Basij revolutionary guards tried to put them down and were pelted with stones and burning tyres to stop their vehicles advance and responded by attacking protesters with guns, snipers, poisonous and tear gases. We are eye witnesses to the killing and injuring of many youth, among them our brothers Yunis and Yusef Shomosi, by live rounds during the protests. We are peaceful and opposed to oppression and terrorism. We are young people who want to hold protests and peacefully demand the rights of the Ahwazi Arab nation. We are innocent of the charges of ‘waging war against God and its Prophet’ and ‘corruption on the earth’. We were sentence to death by hanging in unfair court hearings. We all want to achieve political, economic, social and cultural rights of the Arab people of Ahwaz. We are youths demanding our people’s rights by peaceful protest. Through this message, which carries risks that we will be held accountable for in case we are discovered, we call on all international and human rights organisations, particularly Ahmed Shaheed, to pursue efforts and to try to halt the executions. Peace and God's mercy and blessings are upon you.